BEIRUT - Airstrikes in northwestern Syria on Thursday, thought to have been carried out by regime ally Russia, killed 18 civilians, including two children, a Britain-based monitor said. The monitor says it relies on sources inside Syria for its information, and determines who carried out strikes according to flight patterns, as well as planes and ammunition involved. The toll is likely to increase due to a number of victims still under the rubble, Observatory head Rami Abdel Rahman said. An AFP correspondent at the scene of the strike described a large crater in the midst of several wrecked two- and three-storey buildings. At the nearby hospital, women, children, elderly people and rescue volunteers where among the wounded, the correspondent said. Most of Idlib province lies beyond government control and is held by an array of rebels and jihadis. 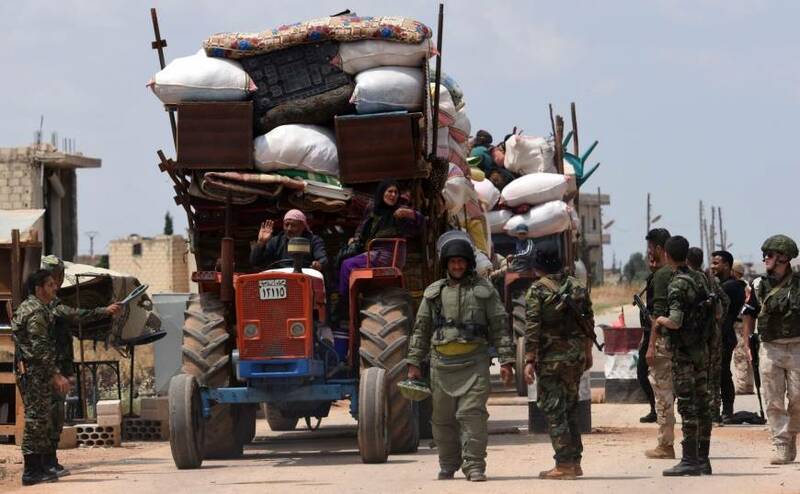 Zardana is largely controlled by Islamist rebels, with a small presence of the Hayat Tahrir al-Sham alliance led by Syria’s former al-Qaida affiliate. 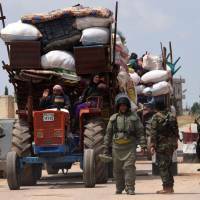 Since Russia intervened on its side in 2015, the Syrian regime has regained control of around half of the country. More than 350,000 people have been killed in Syria’s war since it started in 2011 with the brutal repression of anti-government protests.